Rafinha is back in the squad for the trip to Paris for the Champions Leagueround of 16 clash with PSG. 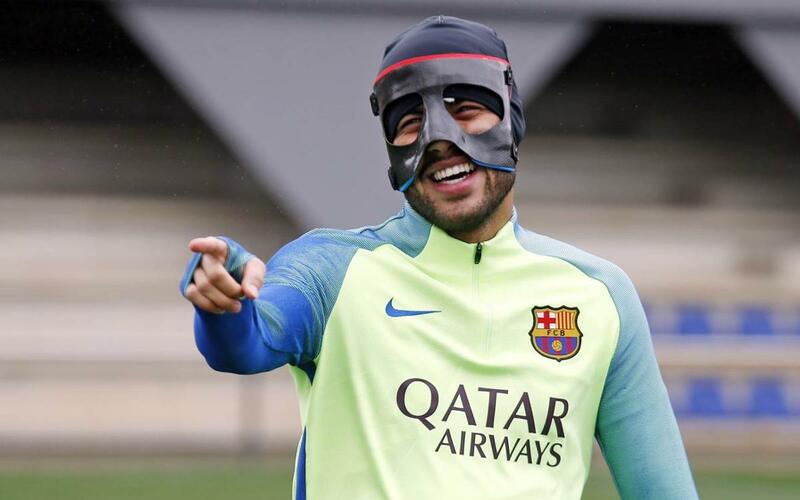 The Brazilian has been wearing a mask for the last few days after suffering a nasal fracture against Athletic Club, but has been declared fully fit for the visit to the French capital. It all came as great news for the player, whose also celebrating his 24th birthday this Sunday. Gerard Piqué, who was rested for the last league game, also returns to the team. A squad of 21 players will be travelling for the Tuesday 8.45pm CET kick-off, including all three goalkeepers (Ter Stegen, Cillessen and Masip) and Carles Aleñá and Nili of the reserves. Luis Enrique already knew that he’d be missing the injured Arda Turan and Javier Mascherano, but he is now without Aleix Vidal as well, who will be side-lined for an expected five months following the nasty ankle injury suffered against Alavés. The full squad that will be heading for France is therefore as follows: Ter Stegen, Cillessen, Masip, Piqué, Rakitic, Sergio, Denis Suárez, Iniesta, Suárez, Messi, Neymar Jr, Rafinha, Alcácer, Jordi Alba, Digne, Sergi Roberto, André Gomes, Umtiti and Mathieu. Before he announced his squad, the Barça manager gathered his men for the only training session on Catalan soil between Saturday’s league game and the flight on Monday. The workout mainly focused on recovery from the exertions of the previous afternoon in the Basque Country, where youth players Carbonell, Nili and Aleñá helped to boost the numbers, two of which of course, were rewarded with a trip to the City of Love. Once the squad have arrived in Paris on Monday, the group will have some time to settle into their hotel before training at the venue of Tuesday’s nights’ game in the evening. Luis Enrique and one of the players will be giving an official press conference.